When it comes to entertaining that Tween bracket, those too old for bouncy castles and too young for teen parties – it’s no surprise that our puzzle based children’s mysteries are popular. Pitched at the 7-10 year old age range, they span the gap between kids party games and adult mysteries and run in a very similar way to the adult “lock in” style mystery puzzle houses, in that the children move from puzzle to puzzle via a series of games, unlocking the plot as they go, until between them they fathom out the answer to the mystery presented at the start of the party. It’s hard to explain how these games work, as each one is themed very much to the mystery itself. 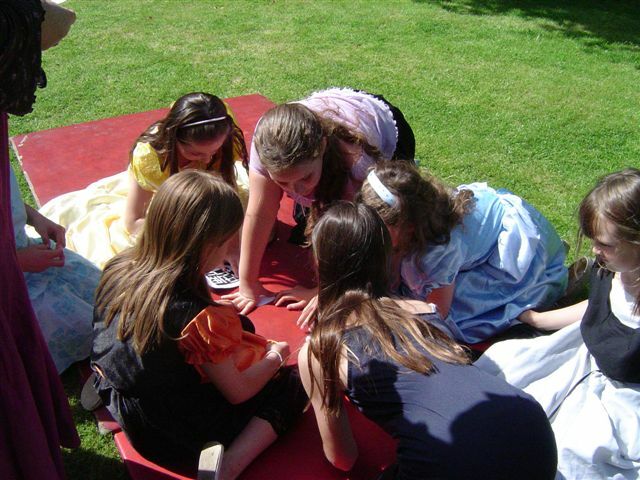 Each party requires 2 facilitating adults, one to lead the children through the mystery – and one to set up the rooms/puzzles and act as a second facilitator for some of the games. Each child’s mystery starts with a premise. Something missing, or something lost, or sometimes, a mission, or a puzzle that needs resolving. 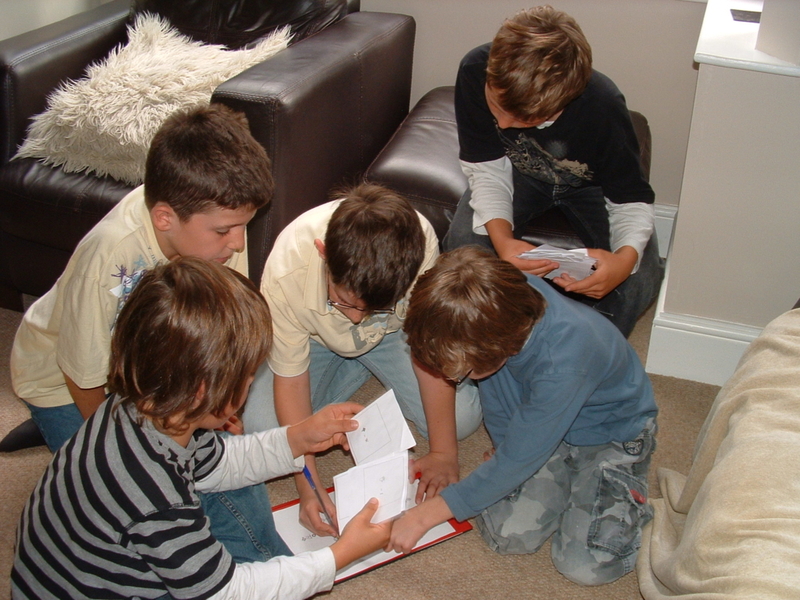 The children have the premise explained to them by the adult and then the first “game” is introduced as a way of solving the case. The first game played will often lead to the next part of the puzzle which in turn leads them to another game, and it runs in this way through 6 games. The games vary in complexity, some are easy, some are more difficult. Sometimes it’s a scavenger hunt for clues, sometimes it’s a decoding puzzle, sometimes it’s a jigsaw with a mystery sentence, sometimes it’s an observation game, sometimes it’s more physical, but each game will lead them one step further in solving the case presented to them, until they reach the conclusion, and solution to the mystery. We always leave time for a birthday tea within the party. And each party kit comes with other ideas for games you could play in keeping with the theme. Having run several myself with my own children, I know some kits are useable with 6 year olds with more adult supervision and my daughter still enjoys them at age 11. So the age range that can use them is quite vast. 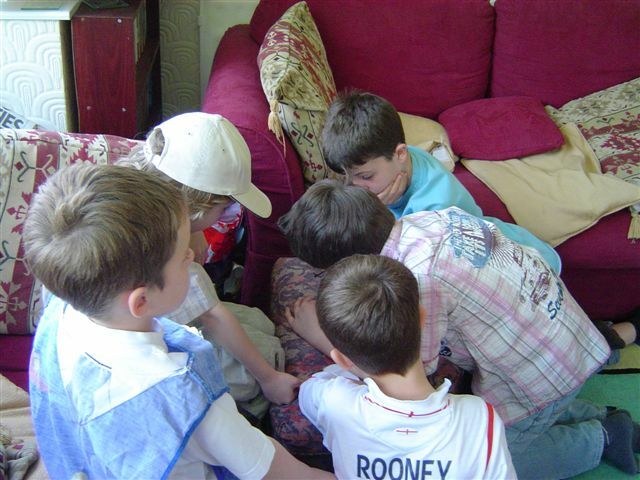 Some kits are pitched in such a way that older children will enjoy them, and some are pitched in such a way that younger children will enjoy them. So if you have a child that falls outside the 7-10 age range it’s helpful to chat with us to check which we think would be better for your child. Children’s parties are harder to get “just right” than adult kits as children develop at different ages. Which means it’s sometimes a case that you pick something and think “Blurgh” this won’t suit him/her at all. Don’t worry – we all have children in our office and we know what it’s like! Give us a call, chat through what the issues are and we will be able to refund or exchange your purchase for you so you get the party you need.